Starting Sunday, the Kentucky Derby Museum will celebrate American Pharoah, racing’s 12th Triple Crown winner, with a special exhibit telling the story of how this 37-year drought ended and what it meant to the public. 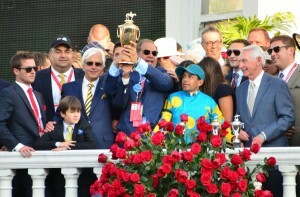 The exhibit, ‘AMERICAN PHAROAH,’ will look at the winning connections: Ahmed Zayat, a successful businessman who has become one of the industry’s prominent owners and breeders in just ten years; Bob Baffert, the Hall of Fame trainer who made three previous attempts at capturing racing’s elusive prize and Victor Espinoza, a veteran jockey who came up short of Triple Crown glory on two previous occasions. The exhibit will delve into the stories of all three, how they arrived at this point and what the unique story of American Pharoah means to them. Of course, the story extends beyond the connections. The exhibit will also look at the champion himself. It will look at his entire racing career and chart what made him great. His unique temperament, outstanding skill set and dogged determination are among his most valuable characteristics. Additionally, the Museum will consider the public reaction to American Pharoah: how the media covered his achievements, what those in the industry thought about the accomplishment and what this means for his second career as a stallion at Coolmore America’s Ashford Stud in Kentucky. ‘AMERICAN PHAROAH’ will feature artifacts never before seen by the public, as well as new interactive media exclusive to the Museum. The object highlights are the Kentucky Derby, Preakness Stakes, Belmont Stakes and Triple Crown trophies won by American Pharoah. This is the first time these landmarks of achievement have been publically displayed together and can only be seen for the early run of the exhibit. 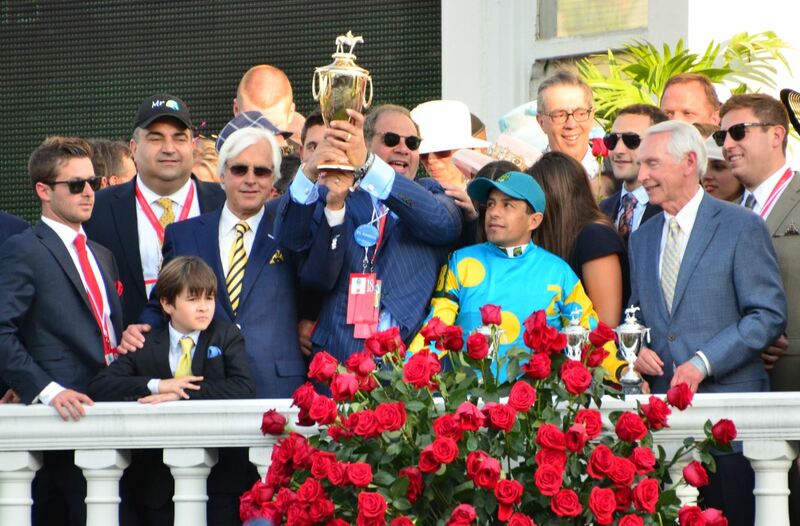 These trophies, generously loaned by Zayat Stables, will be supported by artifacts from the personal collections of Bob Baffert and Victor Espinoza. Kentucky Derby Museum team members also got the chance to sit down with Ahmed and Justin Zayat, Bob Baffert and Victor Espinoza for extensive interviews, parts of which will be included in the exhibit. American Pharoah won the 2015 Kentucky Derby, the 2015 Preakness Stakes, the 2015 Belmont Stakes, and the 2015 Breeders’ Cup Classic. Kentucky Derby Tours members are looking forward to seeing the exhibit.